Blowout Sale! 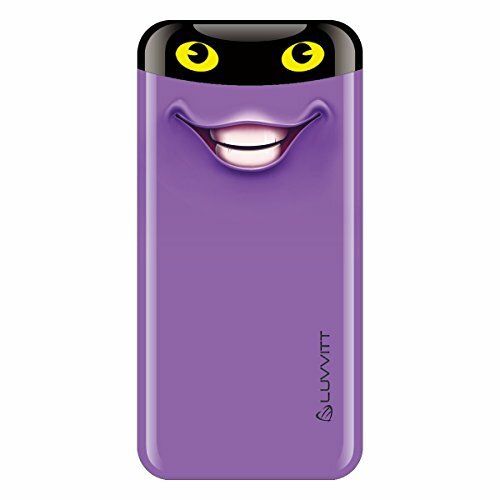 Save 67% on the LUVVITT [Emoji] Power Bank 6000 mAh Ultra Slim Portable Charger External Battery - Emoji Purple by Luvvitt at DJ Luu. MPN: LUVPOWEMOPUR. Hurry! Limited time offer. Offer valid only while supplies last. LUVVITT Emoji Power Bank is the world's lightest and slimmest portable charger for 6000 mAh capacity. THe unique LED eyes indicate the battery level. WORLD's SLIMMEST & LIGHTEST: For it's large 6000 mAh capacity it's the lightest and slimmest power bank in the world. It's only 0.9mm thick which makes it convenient to hold in hand together with the phone.Fits in the palm of your hand, your pocket, or your purse. UNIVERSAL COMPATIBILITY: LUVVITT Portable External Battery Charger works with today's popular brands, including iPhones and iPods, Samsung, HTC, LG, and Android devices. It also works with your GoPro and tablets! If you have any questions about this product by Luvvitt, contact us by completing and submitting the form below. If you are looking for a specif part number, please include it with your message.